Fine-pore foam suitable for heavy objects. Resistant to oil and solvents. Delivery package: several inserts of different thicknesses for the complete case floor. 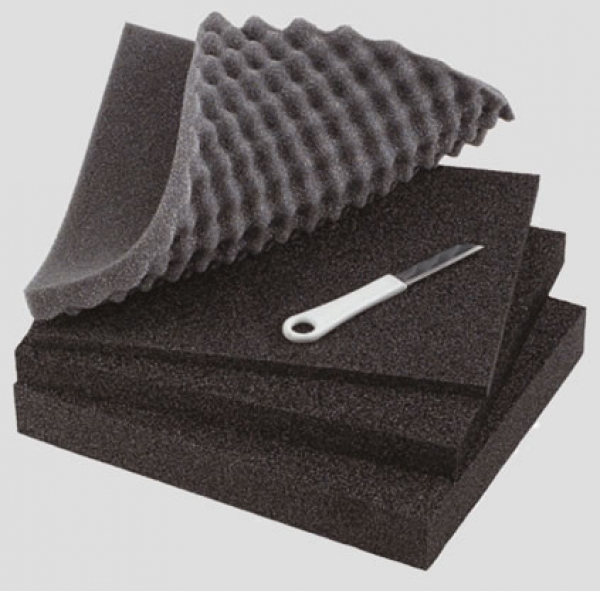 Knobbed foam sheet in the lid ensures the right amount of pressure on the objects in the case. Complete with a cutter and instructions for a professional look and sturdy cut-out shapes.